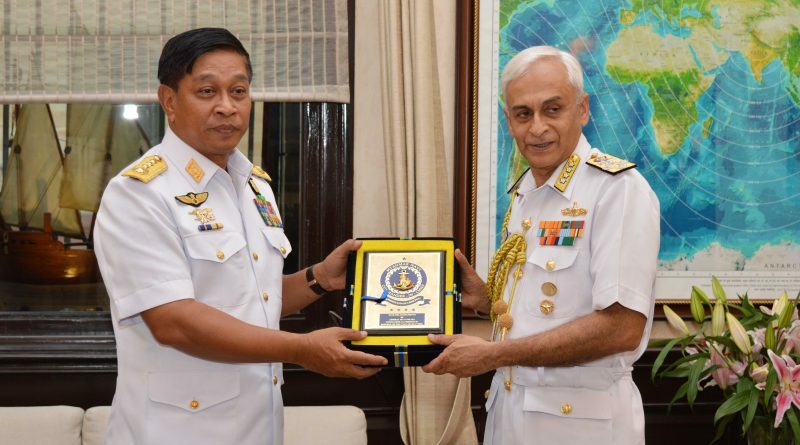 Admiral Tin Aung San, Commander-in-Chief, Myanmar Navy, is currently on a visit to India from September 18 to 21. The Admiral visited various Naval establishments at Mumbai and Kochi as part of his itinerary prior to arriving at New Delhi where he is scheduled to call on the Chief of Naval Staff, Chief of Army Staff and Chief of Air Staff. The Admiral will also hold discussions with various dignitaries from the ministry of defence at New Delhi. The visit is intended to consolidate and enhance bilateral defence relations between India and Myanmar. Naval cooperation between India and Myanmar encompasses a wide span which includes operational interactions through coordinated parols, training, port calls, passage exercises along with capacity building and capability augmentation initiatives. Pertinently, during the recent visit of the Prime Minister Narendra Modi to Myanmar in early September, three memorandums of understanding (MoUs) with respect to maritime cooperation were signed between the two countries. 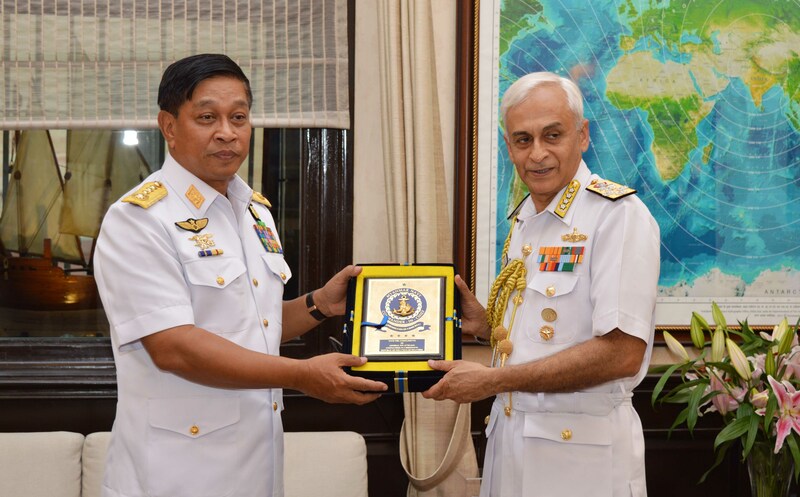 The visit of the Admiral also closely follows the recent visit of the Commander in Chief, Myanmar Defence Forces in August this year and is said to be the reflective of the growing level of cooperation between the two Navies.